14 seater Tempo Traveller Chandigarh Mohali Panchkula Delhi Pathankot Ambala Amritsar Patiala etc. 14 Seater Tempo Traveller have 14 pushback seats and carrier above for luggage. 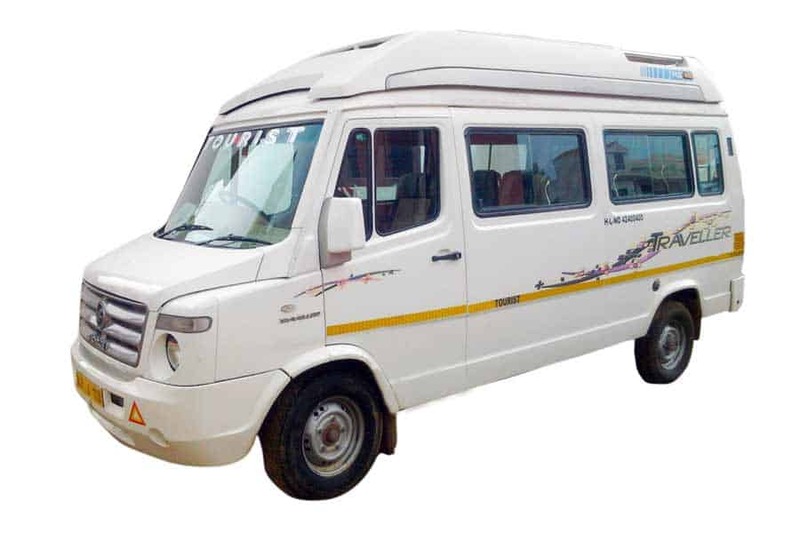 We provide 14 seater Tempo Traveller on rent in Chandigarh at low price with best service.We offer special tariff for Tempo Traveller Chandigarh to Shimla Manali Dharamshala Dalhousie Leh Ladakh tours. Facility: – NON A/C & A/C Push Back Comfortable Seats With DVD Player.. Most of route familiar driver.